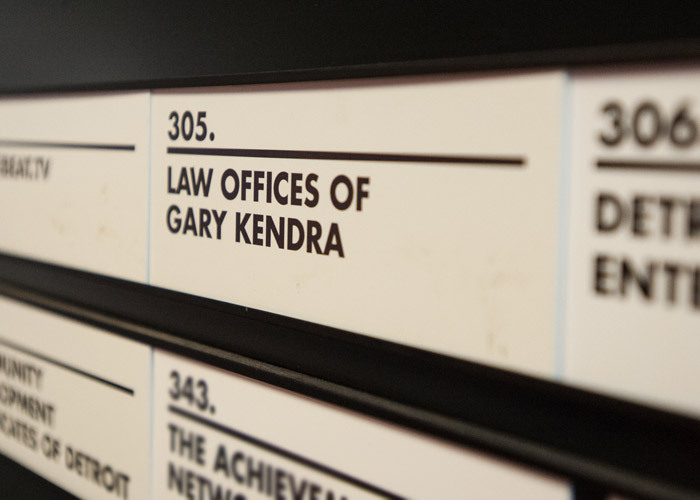 Kendra Law Firm is a full service multi-disciplinary corporate and transactional law practice that assists clients in corporate and legal matters in a wide variety of areas. While technology focused, our firm represents a wide variety of traditional businesses and professional practices (including dentists, doctors, architects and other professionals), helping them navigate the myriad of legal issues they confront in their day to day activities and operations. Our main office is located at TechTown and we pride ourselves on being at the epicenter of Detroit technology advancement and innovation. We serve clients throughout the State of Michigan, the United States and internationally. The culture of our firm reflects the entrepreneurial spirit of our client base. We provide insightful strategic counsel to clients ranging from small start-ups to mature international enterprises. We provide legal services at every stage of business progression including entity formation, shareholder and founder relations, corporate governance, employee matters, real estate matters, contract drafting and negotiation, strategic planning, dissolutions and mergers and acquisitions. We also represent clients in a variety of intellectual property transactions, including complex technology licensing and transfer, manufacture and supply agreements, joint ventures, and other strategic transactions. We work with Tech Transfer offices with Universities throughout the country on technology out-licensing and sponsored research and development.